Boeing Defense & space Group, Helicopter Division retired vice president Charles Ellis died on January 25, 1992 in Bryn Mawr, Pennsylvania. He was 64. Born and raised in Vermont, Mr. Ellis served in the Navy from 1945-48, following his high school graduation. After leaving the Navy, he earned both his Bs and MS degrees in Aeronautical Engineering from MIT. He then joined Kaman Aircraft, where he rose from project engineer (working on the world's first drone helicopter) to Chief Development Engineer. 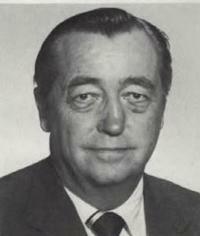 Mr. Charles W. Ellis came to then-Boeing Vertol Co. in 1965. He was named a vice president in 1973. Projects in which Mr. Ellis was involved during his tenure at Boeing include the CH-46 and -47, the firm's UTTAS program entrant (the YUH-61A), and the Model 234. Mr. Ellis retired in 1990, after 25 years with the company, as vice president of te V-22 Osprey program, Boeing's joint venture with Bell Helicopter Textron. A member of AHS since 1952, Mr. Ellis gave much to the Society. He served as president and chairman of the board of the AHS, as well as the Society's technical director. He also served as chairman of the Vertical Flight Foundation. Mr. Ellis was named an honorary AHS fellow, and in 1988 was presented the Society's most prestigious individual honor, the Alexander Klemin Award. Mr. Ellis was a fellow of the American Institute of Aeronautics and Astronautics, and a member of the Sigma Xi scientific fraternity, the Phi Delta Theta social fraternity, and Rotary International. He was a holder of six patents in the rotary wing field, published numerous articles in technical journals, presented papers at helicopter conferences and served as a member of the US Army Scientific Advisory Council.